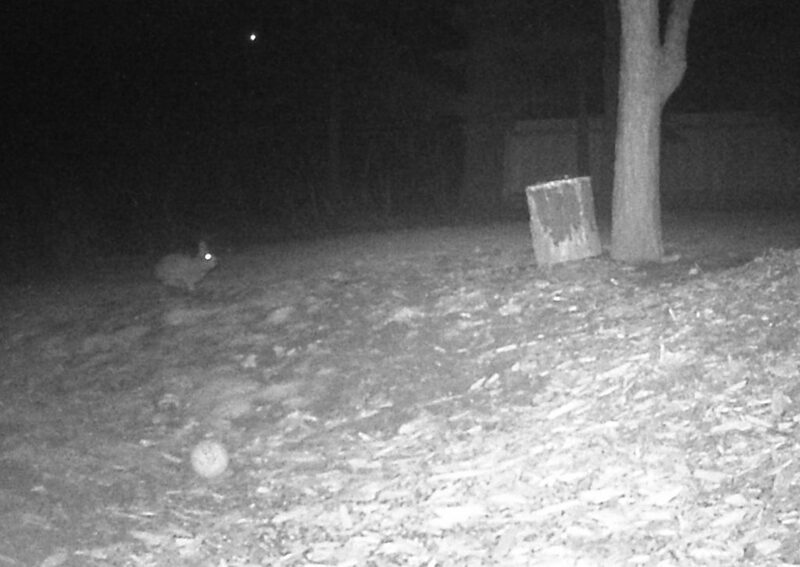 While looking through photographs captured by my game camera, I was surprised to see that it had photographed an Eastern Cottontail (Sylvilagus floridanus) rabbit early one morning before sun rise. 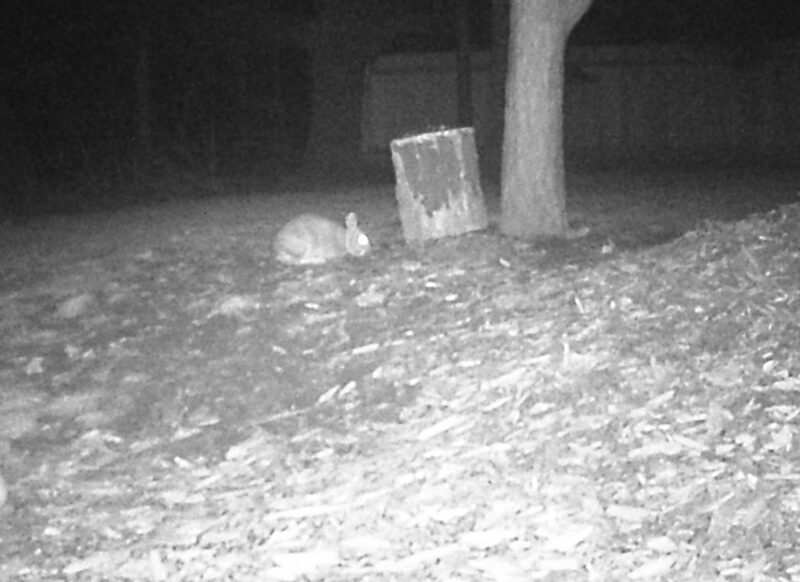 An Eastern Cottontail (Sylvilagus floridanus) rabbit hopping through our yard. 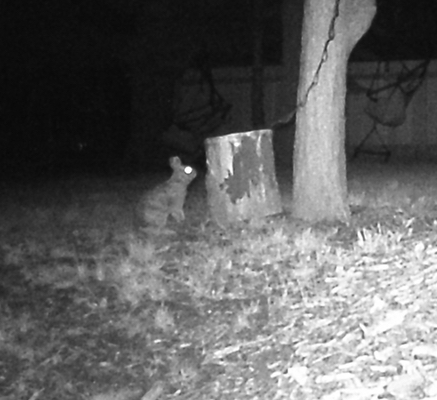 An Eastern Cottontail (Sylvilagus floridanus) eating seed. 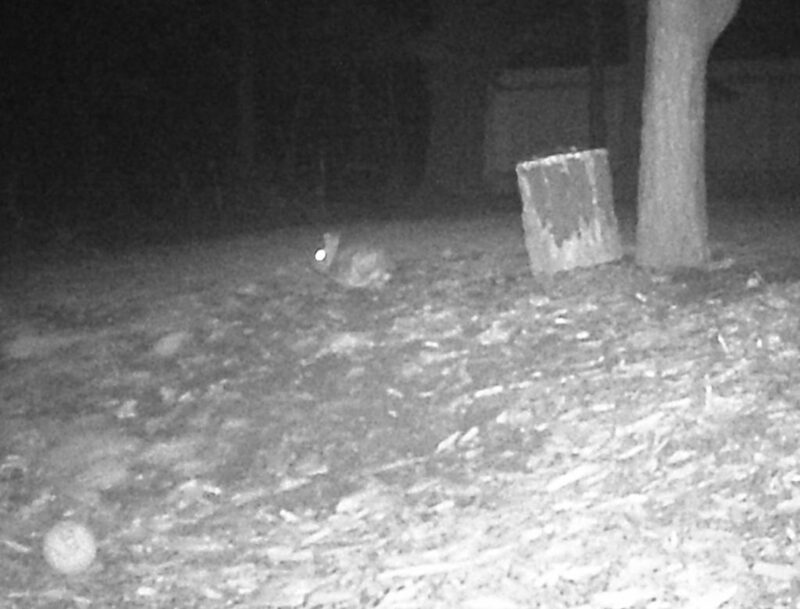 The Eastern Cottontail (Sylvilagus floridanus) rabbit leaving after eating seed. 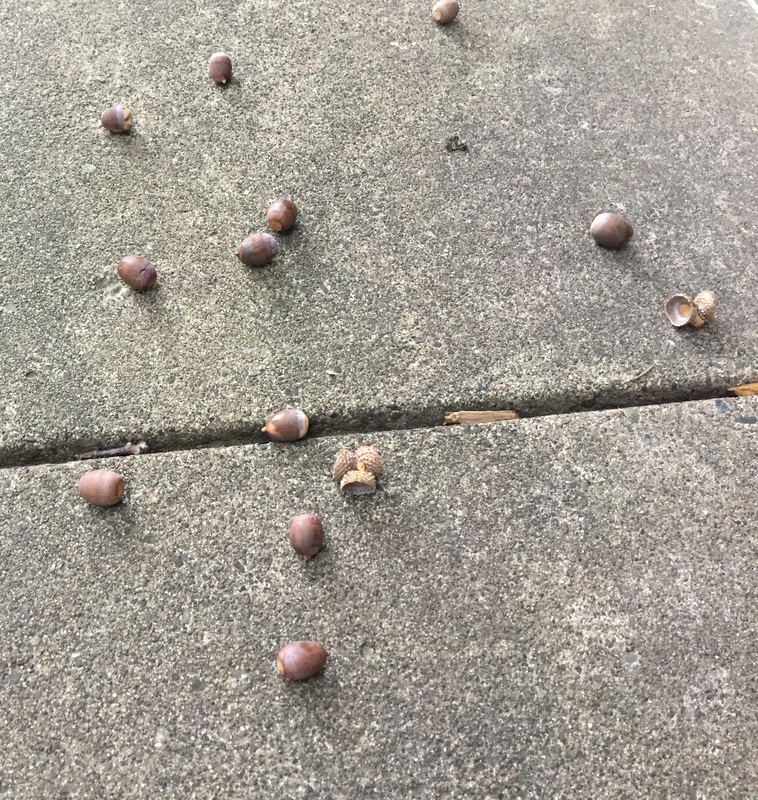 The summer of 2013, we shared our yard with an white Eastern Gray Squirrel (Sciurus carolinensis) that we called Whitey. 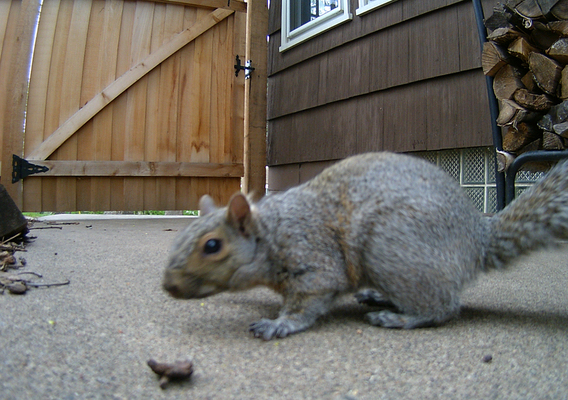 White and black squirrels are morphs of the Eastern Gray Squirrel. 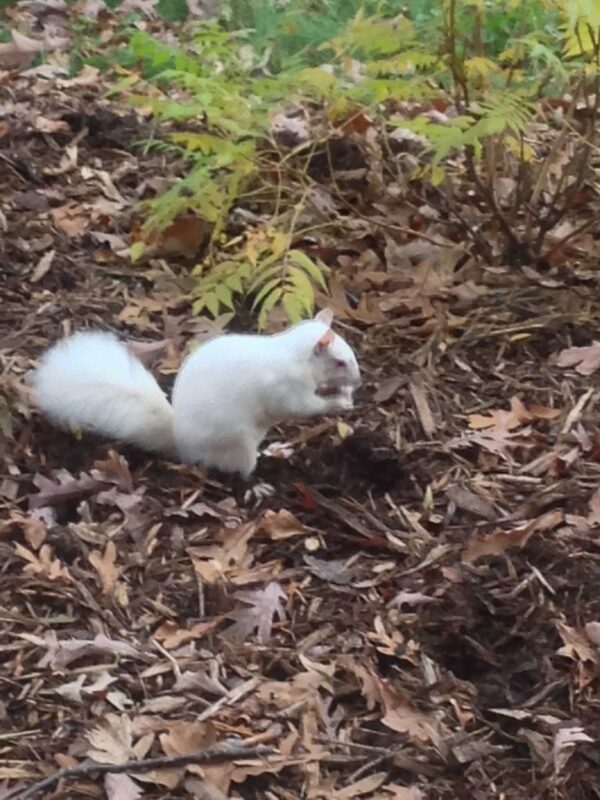 Unless they have pink eyes, white squirrels are not albino. A white Eastern Gray Squirrel (Sciurus carolinensis) eating a nut. Whitey had balance issues. He never seemed capable of running in a straight line. 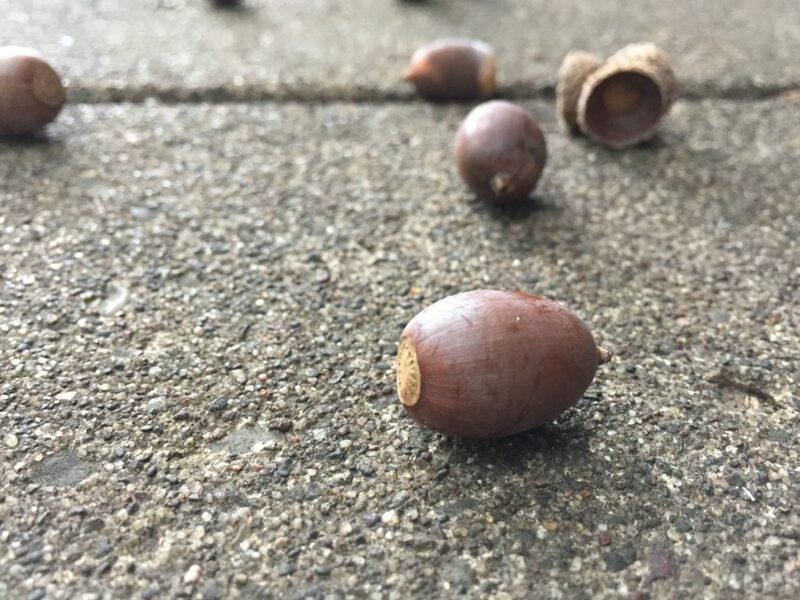 As he ran, he would veer to the right. He would then stop, correct his direction, and start running again, only to veer to the right. 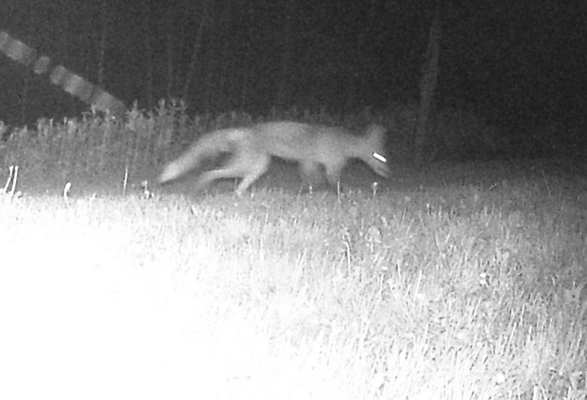 He also had issues staying upright on his hindquarters while eating. He often tipped over. 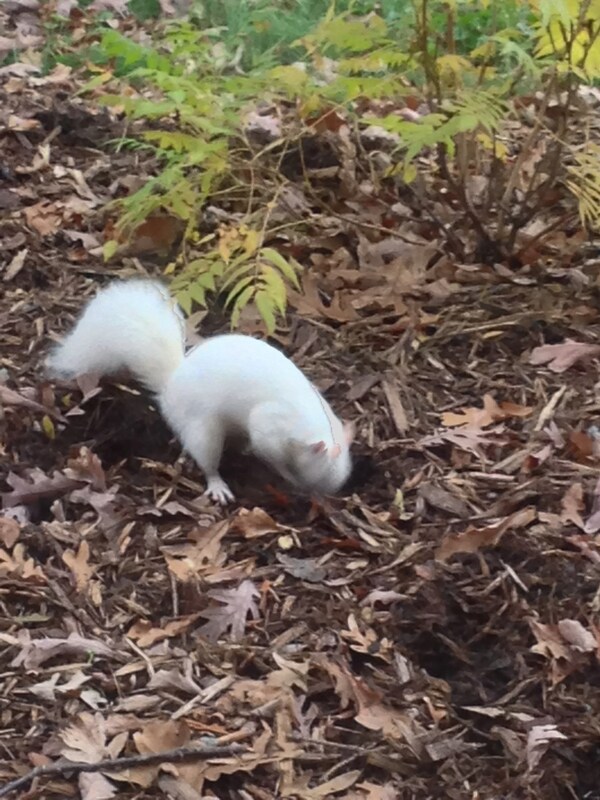 A white Eastern Gray Squirrel (Sciurus carolinensis) digging for nuts. His being white was a marked disadvantage when it came to escaping predators. The local hawks often hunted him. We did our best to protect him by chasing off the hawks by throwing rocks at them. Unfortunately, Whitey lived with us only a year before he disappeared. 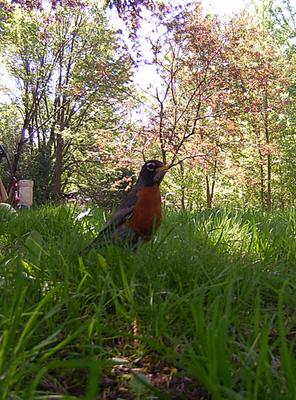 I suspect a hawk got him despite our efforts to protect him. 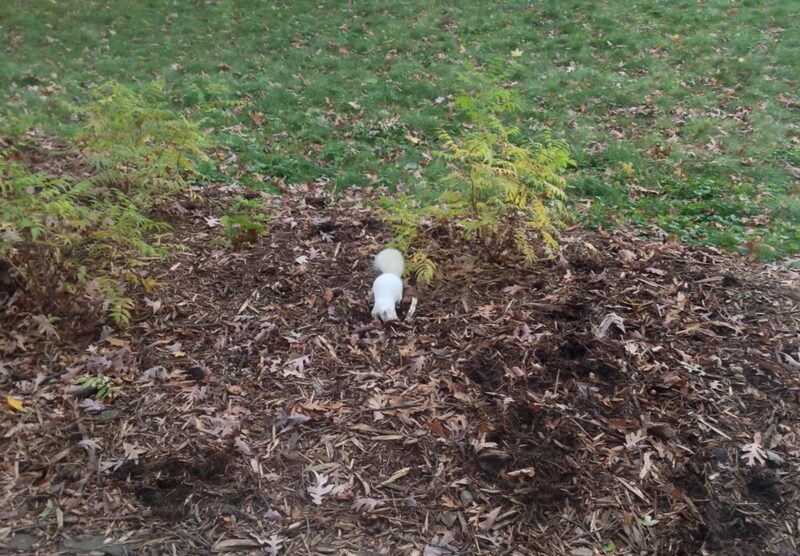 A white Eastern Gray Squirrel (Sciurus carolinensis) digging around under shrubs. 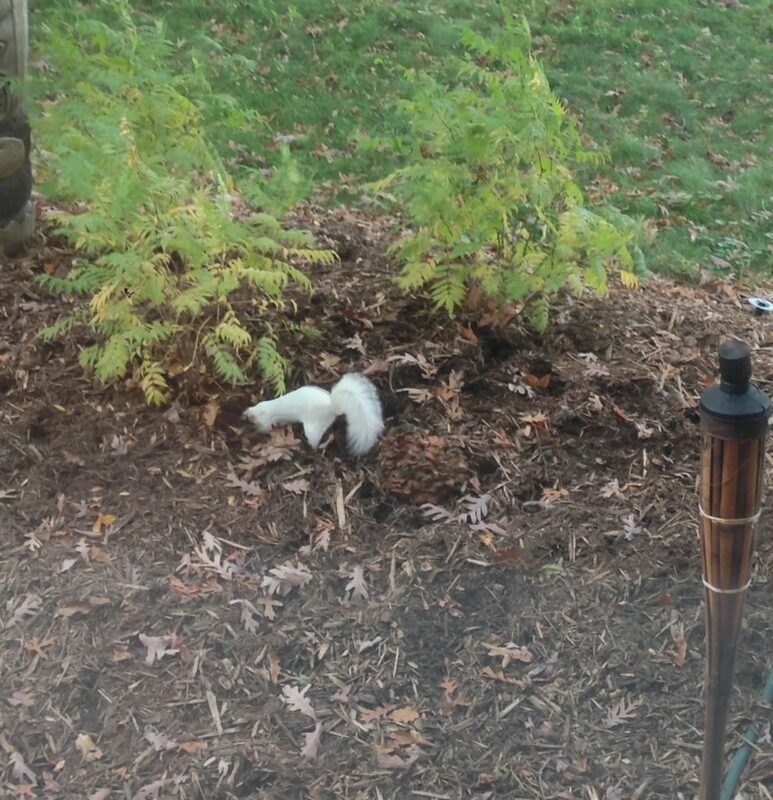 We often found Whitey eating and digging under the shrubs next to our side patio. A white Eastern Gray Squirrel (Sciurus carolinensis). 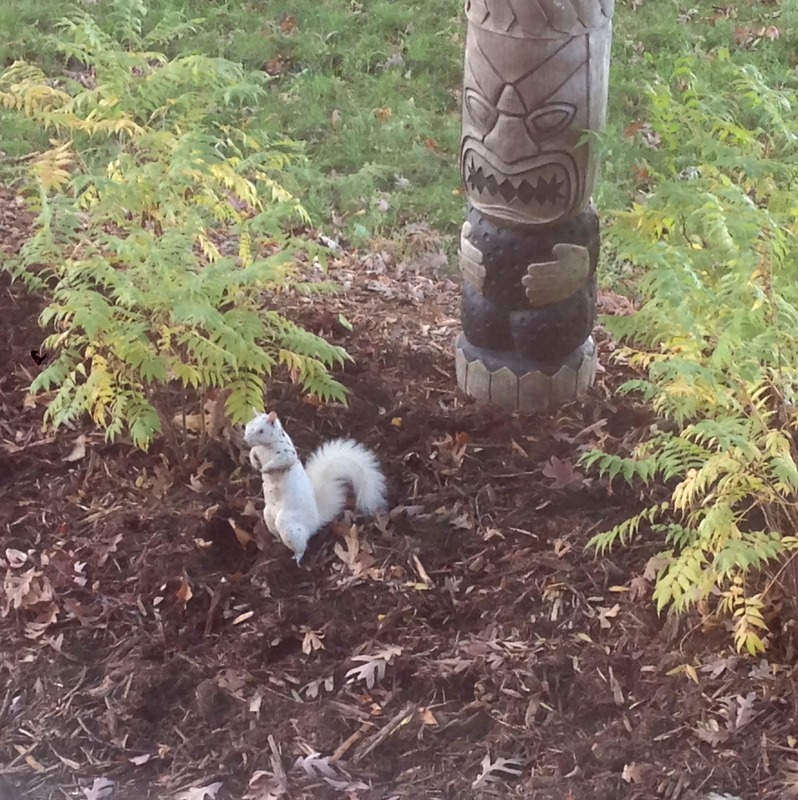 A white Eastern Gray Squirrel (Sciurus carolinensis) hanging out with a Tiki. 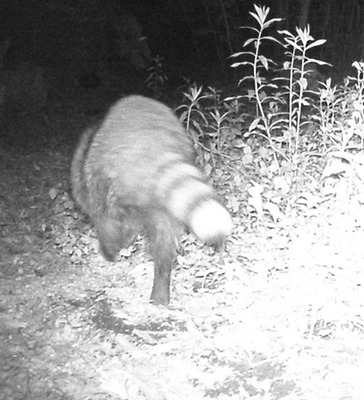 A few years ago, I was clearing a garden of debris when I was startled by movement. To my surprise, I had disturbed a Prairie Skink (Plestiodon septentrionalis). Prairie skink prefer sandy soils and open grasslands with loose soil so that they can construct their burrows. Our soil is mess of clay, sand, rocks, and humus and can become quite hard when it dries out. I usually see the skink in or near our gardens. 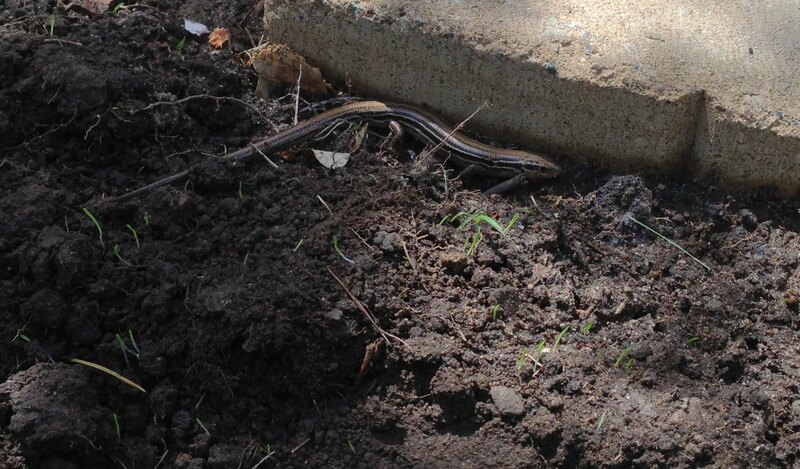 Perhaps my working the soil in the gardens has created enough loose soil to provide a suitable habitat for the skink. 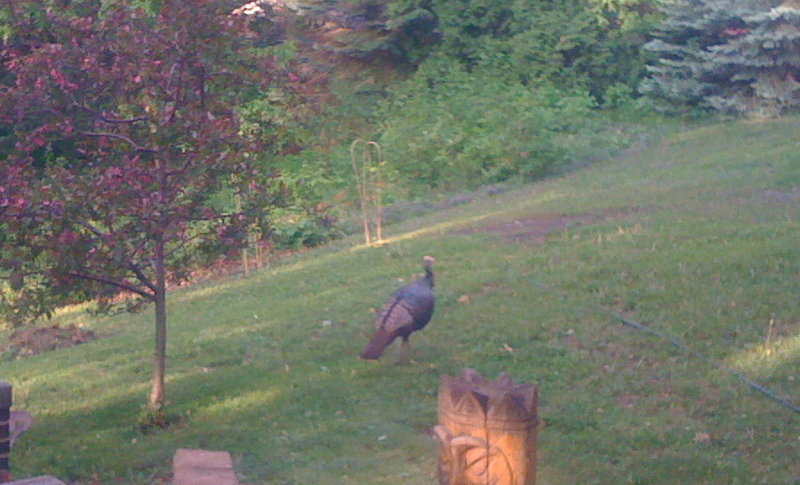 Every few years, usually in the spring, a wild turkey (Meleagris gallopavo) will wander through the yard. 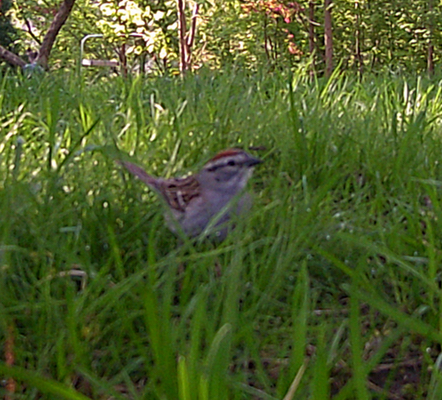 Occasionally, they make their way over to our back patio where they help themselves to water from the bird bath or black oil sunflower seeds scattered on the pavement below the bird feeder. 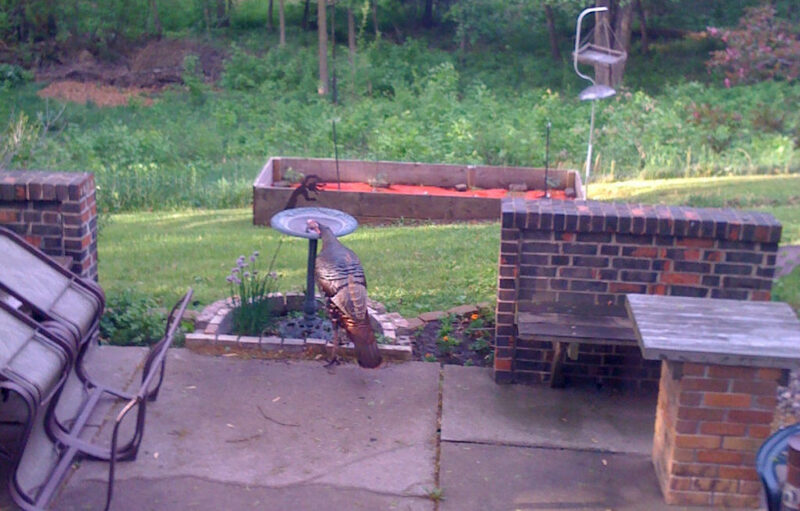 Back in May, 2009, this turkey wandered through and helped itself to a drink.